Proper auto insurance for teen drivers is imperative, but that doesn’t mean there aren’t ways to trim costs and reduce risks. Take appropriate steps to keep your family and finances safe from harm. According to the Traffic Injury Research Foundation (TIRF), teen drivers are the most likely age group to be in a fatal crash. In fact, although drivers aged 16-19 make up only 4.8% of licensed drivers, they account for nearly 9% of driver fatalities. The risky behaviour teenagers exhibit leads to more accidents among their demographic, resulting in higher auto insurance rates that parents pay once teens are on their policy. Familiarize yourself with your insurance policies. Most provinces have a graduated licensing program in place. Before a teenager receives each stage of the license, understand how you’ll be insured by different policies in the event of an accident. As long as damages from an accident are due to negligent rather than criminal charges, auto insurance covers up to the limits of liability insurance you purchased. Homeowners insurance kicks in if an accident affects your property, such as accelerating a car into the garage. Because of the high risk of teenage drivers, consider purchasing an umbrella liability policy, which allows you to add $1 million or more to your auto and homeowners coverage. If your teenage driver causes an accident, as the parent and owner of the policy, you’re responsible for costs that exceed the limits of your policies, so umbrella insurance could certainly come in handy. Notify your insurance company that your teen is driving. Don’t make the costly mistake of failing to inform your insurance company that there’s a new driver in the family. Instead, notify the company as soon as your teen gets behind the wheel with a first stage license. In some cases, your teen may not need to be insured initially. But if your teen is uninsured and gets into an accident, the company might refuse to cover all damages. Research ways to drive down costs. There’s no escaping the fact that teenagers are the most expensive drivers to insure, but there are cost-saving strategies. To start, if your teen is just an occasional driver, they may not need their own policy. Make sure your current policy is still the best option for your family. Take advantage of deals companies offer, such as reduced rates for students who receive good grades or discounts for installing electronic monitoring devices in their car. 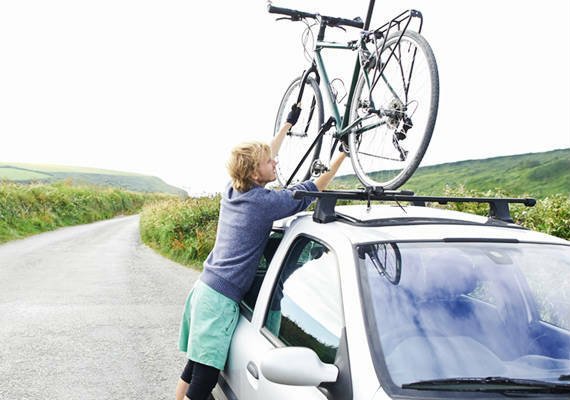 Emphasize safe driving habits to your teen. Discuss responsible driving habits with your teen. Distracted driving plays a huge role in the number of accidents on the roads. Texting or talking on the phone, looking up directions, and talking to other passengers are a few of the leading causes for minor and major collisions. Handheld cell phone use is the highest among teenage drivers, which factors into the pricing platform the insurance industry sets for policies for teenagers. Another factor is substance abuse. With the recent legalization of marijuana across Canada, many teens may not realize that drug and alcohol abuse increases their chances of being involved in a car accident. Explain the legal implications they assume when they get behind the wheel. Even though they’re less experienced and skilled than other drivers, they have a duty to drive safely. The legal concept of negligence is a key factor in determining fault in a collision, so if they make reckless decisions, both you and your teen are often legally liable for resulting damages. You can’t always avoid the unavoidable, but as a parent, it is critical to stress to your teenager the importance of responsible driving. Also, don’t forget to protect yourself financially by obtaining proper auto, homeowners, and possibly umbrella insurance for teen drivers. Reach out to your HUB broker today to make sure you have the right coverage.